Question 1: How do I go about getting custody of my children? As for custody issues, this means that you be given the right to make the non day to day decisions for the child, namely important decisions such as which school to attend, religion, change of name etc. 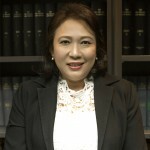 Singapore courts generally view the child as belonging to both parents. As such, the courts in Singapore tend to lean towards an order granting parties joint custody of the child so that the parent not having care and control of the child still has some say over the upbringing and welfare of their child. If you strongly feel against parties’ being granted joint custody of the child, you may apply for sole custody. However, in such an event, you have the additional burden of proving to the Court that joint custody is not workable. When a party is granted care and control of the child by the Court, this means that the person is made the main caregiver of the child with the sole discretion to make the day to day decision for the child. Question 2: My former spouse won’t allow me to bring my child on a holiday with me. What can I do? Yue-En – To put things in perspective to answer this question, I will have to assume that the divorce has been finalised and the Court has decided on the custody as well as the care and control of the child. This scenario is what happens post-divorce when there is still hostility and mistrust between the two parties. The first thing we will look at is the Court order on the access ordered – is it liberal or reasonable access? Sometimes in divorce, circumstances change with regards to the relationship between parties, you could be on talking terms initially but things start unravelling and you are now on unfriendly terms. In this scenario, you can consider applying to the Court for a variation of court order based on the new circumstances and have the court rewrite in such a way that you can take the child for holidays. Dorothy – When we recommend our client as to what clauses to insert into their court order, we will usually first consider the dynamics and profile of the parties. If both parties believe in co-parenting, are on talking terms and can work things out, we are comfortable with our client putting in a general clause such as reasonable and/or liberal access to the child of the marriage in the court order. On the other hand, if the dynamics of the parties are bad, they can’t communicate with one another or one parent is alienating the child against the other parent, we will normally recommend that the access terms be regulated and clearly list out what are the various access rights of the parent not having care and control of the child. In such an event, it will also be good to have a clause in the Court order which clearly states that the parent not having care and control of the child be given the right to bring the child overseas for holiday as in the absence of such an order the parent will not be able to do so. Further, when you draft the court order, make sure it is clear so that there is no ambiguity which will necessitate you having to go back to the court for assistance. Yue-En – We do put in some specific clauses for our clients, pertaining to school holidays or summer vacation. It would be good to indicate which part of the school holidays go to which parent as both parents could, for example, want the child for Christmas etc. We could even specify which parent get the first half of the school holiday and the second half with the other parent and we can rotate this on a yearly basis). The idea here is to make it clear and specific on paper. Question 3: How can I relocate with my child? Dorothy – You may relocate with your child either with the consent of your spouse or in the absence of the consent of your spouse by taking out a court application that you be given care and control of the child as well as the right to relocate out of Singapore with your child. Question 4: My husband committed an affair and we are going through a divorce now. How can I prevent him from bringing the child to meet the party he is having an affair with? Dorothy – We had seen cases like this where our client’s spouse had behaved inappropriately with the other party in the presence of the child of the marriage even before parties had formally dissolved their marriage. In such instances, we had taken out court applications for an order that stipulates that it is not in the best interests of the child to be exposed to such inappropriate behaviour by their parent. Having said that, a party can also rely on this as a point against their spouse when fighting for care and control of the child. The party can argue that by behaving in such an inappropriate manner the errant parent is sending the wrong moral message to the child and did not consider the child’s feelings and emotions when behaving in this manner. Yue-En – There are also a few other mechanisms such as mediation or counselling. In Singapore, it is compulsory to go for at least one counselling session so do raise this point to the counsellor so that they can address it. We mentioned DSSAs above. DSSAs have services such as support groups and family dispute management where they help parents come to terms with their feelings in a safe environment. Dorothy – This is also how our firm integrates our service. We have a holistic approach and try to tailor our solutions according to clients’ needs. Our aim is for our client to walk out of our door, complete and whole. Question 5: With regards to visitation rights, is there flexible visitation schedule or is it always a fixed schedule? Dorothy – In the event that parties can’t come to an agreement or settle matters amicably, the matter will then be brought before the court to adjudicate. The court will listen to both parties. If the court decides that it is not in the interest for a flexible schedule, or in legal terms, that a party be granted reasonable/liberal access to the child, they will then regulate the access terms to a fixed schedule. A common order is for the parent not having care and control of the child to have overnight access to the child over the weekend and one or two weekday dinner access as well. Apart from this, the court also considers school holidays and public holidays as well of which they are minded to split equally with the parent not having care and control for example, Christmas with the mother and New Year with the father and so on so forth and half of the school holiday to the parent not having care and control. Need legal assistance on Family Law? If you have any questions on family law, you can get a Quick Consult with Yue-En or request a quote with Dorothy. With Quick Consult, you can check out in minutes and for a transparent, flat fee of S$49, the lawyers will call you back on the phone within 1-2 days to answer your questions and give you legal advice. This article is written by Dorothy Chai and Chong Yue-En from Dorothy Chai and Mary Ong Law Practice.